Acrophobia is a perfect psychological ploy for a Hitchcock movie. 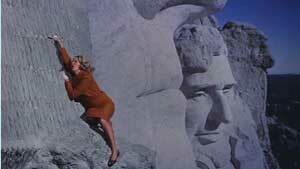 Always fascinated with little psychological motivations, Hitchcock used fear of heights as the guiding principle of his 1958 movie Vertigo. The plot, so detailed and involving, has become nearly iconic as the film has worked its way into the American psyche. It will be discussed in some detail in this review, so if you haven’t seen the movie, please beware. The film begins with a rooftop chase scene in San Francisco. 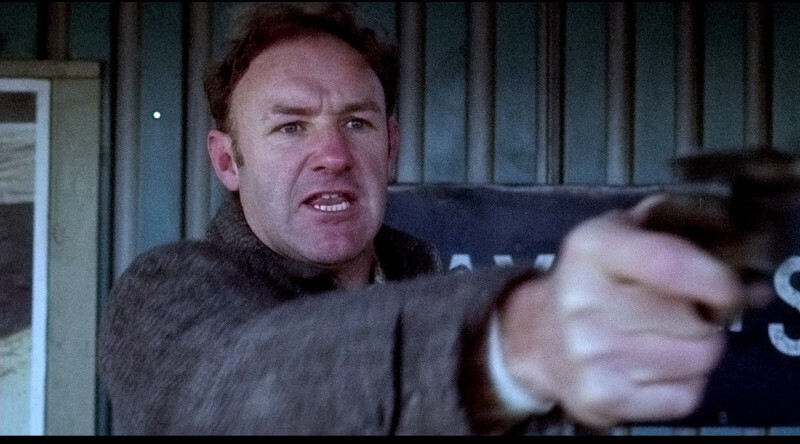 A uniformed cop is chasing some criminal with Detective John “Scottie” Ferguson (James Stewart) right behind him. Jumping from one roof to another, Scottie slips on the Spanish tiles and slides down, barely catching hold of a gutter to prevent himself dropping many stories to the pavement. In an effort to help him, the cop climbs back down the roof and holds out his hand, but Scottie has entered a kind of fugue state where he is unable to respond. Slipping, the cop falls to his death as Scottie watches with a kind of tunnel vision. Diagnosed with acrophobia, Scottie, independently wealthy, decides to retire rather than take a desk job. He hangs out with his old pal, former fiance, Midge Wood (Barbara Bel Geddes), a former artist who now designs brassieres. An old college friend, Gavin Elster (Tom Helmore) calls Scottie and asks for a meeting. A shipping magnate, Elster is concerned about his wife, Madeleine (Kim Novak), a stunning blond who is obsessed with her great gandmother, Carlotta Valdez, who was courted by and bore a child to a very rich San Franciscan, who built a great house for her in what is now the Western Addition, then abandoned her. She gradually went mad and eventually committed suicide. At first reluctant, Scottie takes on the job of tailing her as a protective measure, as Elster thinks she might do harm to herself. He follows her first to a flower shop where she buys a little nosegay of rosebuds, then to the Palace of the Legion of Honor in the Presidio, where she sits before a painting called Portrait of Carlotta, in which the mysterious Carlotta Valdez holds an identical nosegay. Looking closely, he sees that Madeleine’s hair, done up in a bun that terminates in a distinctive whorl, exactly matches the hair style of Carlotta in the portrait. Afterwards, he follows her to Mission Dolores, where she visits Carlotta’s grave, and, finally, he tails her to the McKittrick Hotel, which he later discovers is the home that had been built for Carlotta. The next day, Midge takes Scottie to visit the proprieter of the Argosy Bookstore, who tells him Carlotta’s history. 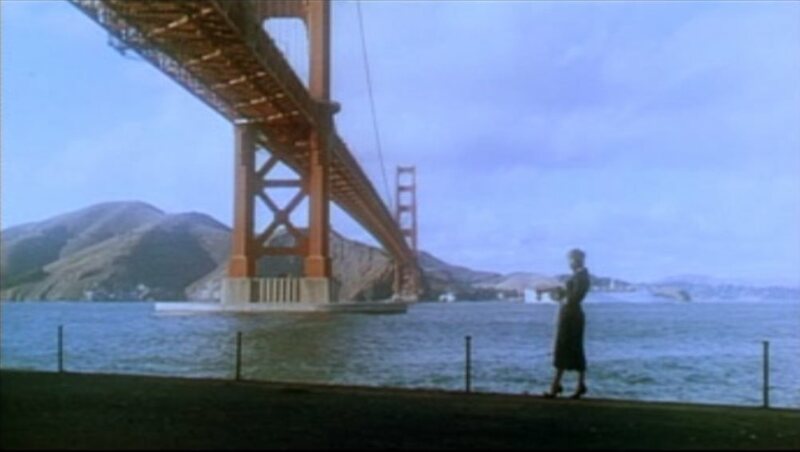 Later, he follows Madeleine to Fort Point, underneath the Western end of Golden Gate Bridge, where, to his horror, she jumps into San Francisco Bay, an apparent suicide. He jumps in after her and saves her life. Rather than returning her home, he brings her back to his apartment, undresses her, and puts her to bed, hanging up her clothing to dry. Scottie passes through phases of becoming fascinated with her, to becoming obsessed with her, and finally falling in love with her. They meet the following morning, going to Muir Woods, where he begins to drill her on what she remembers of her rambling and especially her dreams, one of which includes a memory of being at the Mission of San Juan Bautista. Stopping at Cypress Point, they kiss passionately, then he brings her to the Mission, hoping that he will be able to confront her with the past and help her to move beyond it. At the Mission, she emotionally begs him that whatever happens, he should remember that she loved him, then she runs into the church and climbs the stairs of the bell tower. Following, he begins to have his vertigo attack and cannot go all the way to the top. He hears a scream and sees her body falling past a window and she dies in the fall. Although he is cleared of any wrongdoing during the inquiry, he retreats into himself and is finally hospitalized with extreme depresson. Visiting him, Midge sees that he is nearly catatonic and the doctor informs her that it will be six months to a year before he can be released. Skipping ahead, we see him visiting the places that Madeleine used to visit. One day, he sees a brunette that looks so much like Madeleine that he follows her back to her apartment and introduces herself. At first reluctant to see him, Judy Barton (Kim Novak), a shopgirl who works at I Magnin, eventually gives in and agrees to a date at Ernies, the restaurant where Scottie first saw Madeleine. After he leaves her apartment, Judy relives the moment at the top of the bell tower and we see Elster throw his wife’s body from the bell tower as Judy screams. It becomes apparent that Judy had been playing the part of Madeleine for Scottie’s benefit, so that Elster would have a reliable witness (with vertigo) who would swear that she committed suicide. Still in love with Scottie, Judy decides to pursue a relationship with him. Obsessed with the memory of Madeleine, he begins to dress Judy to look like her, going to the extreme of having her hair dyed blond and recreated the whorl at the back. When she dresses for dinner, however, she makes the crucial mistake of putting on Carlotta’s necklace. Recognizing it, Scottie assembles the pieces of the puzzle. He brings her back to the bell tower and forces her to go all the way to the top. In the process, he overcomes his vertigo. She confesses to being an accomplice to Madeleine’s murder, but when a nun comes up the steps, Judy screams and turns to run, falling to her death, the same as Madeleine. James Stewart and Kim Novak both give brilliant, breathtaking performances in this film, which must rank as one of Hitchcock’s very best in a distinguished career of filmmaking. Stewart gives the best performance of his own career as Scottie, perfectly believable from beginning to end. The cinematography by long-time Hitchcock collaborator Robert Burks is excellent. As a long-time resident of San Francisco, I love the detail and love of landscape shown the San Francisco Bay area, from the Golden Gate Bridge, to the Palace of Fine Arts, Coit Tower, the Palace of the Legion of Honor, the Presidio, Muir Woods, Cypress Point, and Mission Dolores. It is stunning to see the city in all of its beauty in the late 1950’s. Although many things have changed over the years, the essential beauty remains unchanged. At one point in the film, Elster, talking about his return to San Francisco, remarks that the city isn’t what it used to be, but he doesn’t understand the basic timeless beauty to be found there. The opening credits, designed by Saul Bass, provide a dramatic introduction to the movie. Beginning with a close-up of a woman’s face, the camera moves into and extreme close-up of the woman’s right eye, dissolving into the distinctive whorl, in vibrant violet, that becomes a repeated motif in the movie. The costumes, by Edith Head, are gorgeous. And, of course, the music by long time Hitchcock collaborator Bernard Herrmann is great and illustrative of the action. The screenplay, written by Alec Coppel and Samuel A. Taylor, based on the French novel D’entre les morts by Boileau-Narcejac, is the perfect Hitchcock vehicle. The pacing of the film is nearly flawless, although it must be considered a little bit long. As with most of Hitchcock’s movies, the first viewing is the most important because all of the details are just being discovered, but it is also a film that can be watched many times merely to study the technique. Painstakingly restored to its original Vistavision glory by Robert A. Harris and James C. Katz, the DVD is simply stunning. It contains a special feature on the film’s difficult restoration process. If there is one thing, however, that dates the film, it is the special effects depiction of Scottie’s dream after Madeleine has died. Stewart’s head, framed against a pulsing stream of light and with evolving animation just doesn’t seem to work now. It was state-of-the-art in 1958, but it doesn’t show well now. Even with that flaw, the film remains one of Hitchcock’s finest. What would happen if cell phone addiction was carried one step further? It’s a common sight now. In public, it is not uncommon to see people isolated in a crowd, lost in their own little world, playing with their cell phone. What if this phenomenon was almost universal? In Her, the 2013 film written and directed by Spike Jonze, these questions are answered and it is both funny and scary. The Hunger Games, by Suzanne Collins, was already a huge success when producers began bidding on the film rights. By teaming up director Gary Ross with Jennifer Lawrence and Josh Hutcherson, adding Elizabeth Banks, Woody Harrelson, and Donald Sutherland and a bunch motivated, beautiful teens, the producers of this movie created a magic gumbo and a film that will long lead all of the Young Adult Dystopian movie franchises. One of the best films ever made, this 1967 classic, directed by Mike Nichols, features great performances by Dustin Hoffman, Anne Bancroft and Katherine Ross in a story about a young man considering his future and the mother and daughter who most heavily influence his choices. A brilliant comedy featuring great songs by Simon and Garfunkel, this is a true classic! Alfonso Cuarón’s 2013 science fiction film Gravity is extremely well-made, a tight thriller that will keep you on the edge of your seat for an hour and twenty-four minutes holding on for dear life. It is almost a perfect movie. This review is written with the express understanding that the reader is familiar with the entire saga of The Dragonriders of Pern. It contains quite a few plot spoilers, so it is not intended for a reader unfamiliar with the story. The Harper Hall trilogy is an offshoot of the Dragonriders of Pern Trilogy and takes place at the same time as the events in those major three books. Since the stories dovetail and overlap, Anne McCaffrey assumed that the two trilogies be read either at the same time or back to back. The first two books of this series, Dragonsong and Dragonsinger, tell the story of Menolly, a brilliant fourteen year old musician and songwriter escaping the confines of her brutal and ignorant family at Half Circle Sea Hold on the far eastern peninsula of the northern continent of Pern. Dragondrums, the third installment, is a distinct departure from the smooth relationship of the first two books, which occur right around the time that Brekke loses her queen dragon, Prideth, and her lover, F’nor, rider of brown dragon Canth, takes his dreadful trip to the Red Star. They dovetail perfectly, with Dragonsinger beginning right where Dragonsong ends, but Dragondrums skips ahead three full turns, much in the same way that The White Dragon skips ahead several turns in the main trilogy. And just as the main trilogy shifted focus from Lessa to Jaxom, this book changes the focus of character from Menolly to Piemur, the young rascal with the soprano voice who befriends her. In the very beginning, Piemer’s voice breaks just as he is preparing to sing the role of Lessa in a new composition by Domick and Menolly, written especially for Lord Groghe’s Spring Festival. Without his voice, the boy’s world is turned upside down. Fearing for his future he visits his voice master, Shonagar, only to find that he will be replaced as the man’s apprentice. Shonagar sends him to the Masterharper of Pern, Robinton, for reassignment. His depression over his change of circumstances changes to elation as he finds that he will become Robinton’s apprentice now, but there are, of course, complications. Robinton plans to use Piemer as a kind of clandestine agent, so no one, except Menolly and Sebell will actually know that he’s working for the Masterharper. To cover his real role and to enlarge his education, he is reassigned to the Drum Master, Olodkey, to learn drum messages. Only Olodkey will know that he is really working for the Masterharper. His apprenticeship in Drum makes him the newest apprentice there, so he gets the worst jobs and is put upon by Dirzan, the senior journeyman under Olodkey. To make matters worse, he makes enemies of the other apprentices by learning too quickly. Dirzan is quite familiar with Piemer’s reputation as a troublemaker, so he assumes that every little slip of information is Piemer’s fault. In addition, Menolly frequently calls for Piemer’s assistance as a “messenger” in which he makes his clandestine trips. The first leave of absence occurs when Menolly has him join her riding down to the seaside to meet Sebell, who has been journeying in the Southern Continent and for the first time he sees that Sebell has fallen in love with Menolly, although she appears to be oblivious. They treat his saddle sores and take care of him, but his absence only makes the other Drum apprentices meaner to him. His second leave of absence is to make a trip to a Miner hold some distance away in the mountains. While there, he witnesses T’ron, who had been banished to the Southern Continent, forcing the Miner to give him precious sapphires, reserved generally for new Harper Masters. Hiding the jewels he was sent to pick up, he plays the ignorant stable boy and returns to the Harper Hall the next day with his treasure. Every time he goes away, the other boys in the Drum heights become meaner to him and Dirzan keeps giving him more and more difficult measures to learn. The third leave of absence is huge because he is taken by Menolly and Sebell to a Gather at Igen, on the southern shores of the Northern Continent with the assignment of gathering information by playing ignorant. Although he doesn’t learn much, Menolly and Sebell take him by dragon to Benden Weyr to witness a hatching. There he meets Menolly’s friend, Mirrim, who appeared in the first of this trilogy. She is fostered to Brekke and made friends with Menolly when she was picked up in Dragonsong trying to outrun thread. Piemer is put off by her haughty attitude, but Menolly cautions him that he shouldn’t judge her too harshly because of everything she had been through with Brekke and F’nor. Trying to keep an open mind, he witnesses the hatching with a great deal of envy. 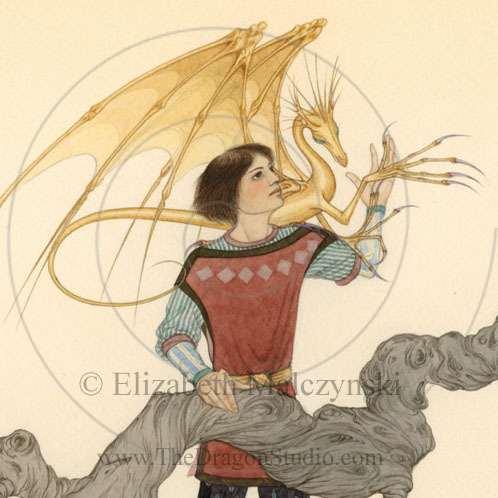 Three years earlier, Menolly had promised him that when her queen fire lizard, Beauty, clutched, he could have a fire lizard of his own. Apparently, fire lizards mature slowly because three turns have passed and Beauty still has not risen to mate. The main feature of the hatching is that Felesson, the only child of Weyrleaders, F’lar and Lessa, impresses a bronze dragon, Golanth. Things go a bit off plan, though, when a newly hatched green dragon rejects all of the remaining candidates and flounders toward the viewing tiers, seeking Mirrim. Although the girl protests that she wasn’t supposed to have a dragon, F’lar and Lessa encourage her to go ahead an impress Path. She is the first female green dragon rider in known history. When Piemer returns to the Drum heights, he finds that all of his clothes have been soiled by the jealous apprentices, led by a big dummy named Clell. And even though he has kept his mouth shut about drum messages, several are leaked and Piemer is suspected as the cause, being well known as a rascal and scamp. He doesn’t even tell Menolly about the abuse from the other apprentices, but that all comes to a head when Lord Meron of Nabol gets seriously ill and sends for Masterhealer Oldive. Piemer is given the message to deliver and Oldive gives him a reply with instructions to have a dragon waiting for him to fly to Nabol. On the way back to the drum heights, Piemer slips on the stairs and bashes in his head. As he passes out, he is certain that the steps and railing were greased. It turns out that they were. Annoyed, Silvina, the headwoman, nurses him back to life, then he joins Sebell on a trip to a Nabol Gather, pretending to be a stupid herder boy. As Meron is close to death, Piemer manages to steal a queen fire lizard egg from his hearth and escapes by hiding in a supply room, then he’s secreted to the Southern Continent in a bag of merchandise illegally traded by Meron to the Southern Oldtimers. Escaping, he lives in the wild, waiting for his queen fire lizard, Farli, to hatch. There are two considerable plot advances in Dragondrums. First, there is the maturation and freedom of Piemer with his escape from the Harper Hall and acquisition of Farli, and second, when Menolly and Sebell travel to the Southern Continent in search of him, Sebell’s queen fire lizard, Kimi, rises to mate and Menolly’s bronzes, Rocky and Diver, fly to mate with her. Diver is the successful male to mate with her, but the mating leads to Menolly and Sebell consummating their own relationship. As the entire saga of the Dragonriders of Pern develops, these two major plot advances figure prominently. For one thing, Piemer is permanently relocated to the south, where he will be instrumental in later books in the discovery of the original settlements of the colonization of Pern (as written in the prequel Dragonsdawn) and will find his own mate, Jancis. For another, Sebell and Menolly will themselves be elevated from Journeyman and Journeywoman into becoming Masters of their craft and eventually running the entire Harper Hall, all the while having and nurturing their own children. Even though this story is pretty well divorced from the first two books of the trilogy, it is very well placed alongside them because it tells of the major players in the Harper Hall’s future. Piemer was already a very well developed character in the second of the three books, so it is natural, once Menolly has found her place in the saga, that Piemer’s story would take over. I can never get enough of Menolly, as I think she is probably the best character in the entire saga, and even though she is a secondary character in Dragondrums, she does appear in abundance and it is great to see her relationship with Sebell grow and mature to consummation. It is a very well written novel, fun and fast to read, and absolutely essential to the overall development of the Dragonriders of Pern.